Carlo Ancelotti takes his Bundesliga bow this weekend with Bayern hosting Bremen. Carlo Ancelotti will take his Bundesliga bow as head coach of defending champions FC Bayern München when they host SV Werder Bremen in the 2016/17 season opener on Friday night (kick-off 20:30CEST/18:30GMT). Fancy showing your mates who's boss? Sign up for the Official Fantasy Bundesliga here! The long wait is finally over – the Bundesliga is back! The action returns with a bang as reigning champions FC Bayern taken on Bremen in the curtain raiser. The visitors may no longer be the force they once were when winning the league title themselves in 2004, but Viktor Skripnik's men can nevertheless be expected to provide a stern test for Ancelotti on his Bundesliga debut. The Italian tactician has already sampled – and won – the Supercup and the first round of the DFB Cup, but it is the Bundesliga where the club's objectives lie. "Our priority is to win the league," Ancelotti stated upon his arrival this summer, and putting the first three points on the board on Friday night is nothing short of an obligation. 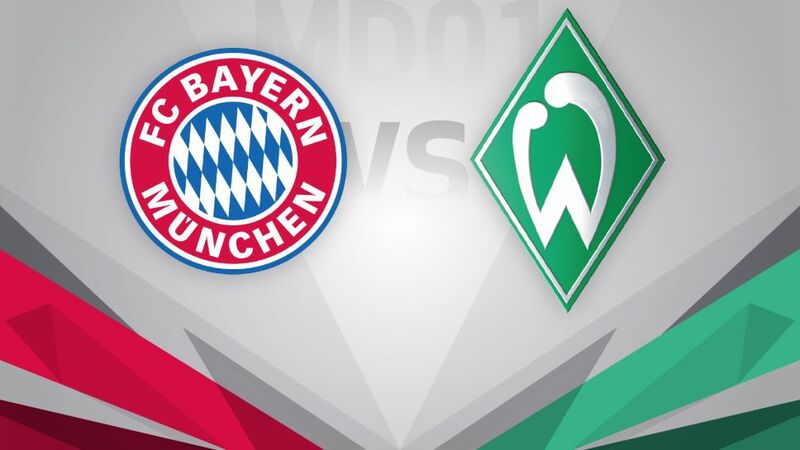 Bremen will be counting once again on former Bayern star and the league's most prolific foreign goalscorer Claudio Pizarro as they bid to cause an upset similar to the one they were on the wrong side of last weekend, with elimination from the Cup in the first round.